Compassionate reading. GOD says, "When the Spirit of Truth comes, the Ruach Hakodesh, will guide you into the full truth. He won’t speak on his own. He will speak what he hears and will tell you about FUTURE things to come." Advice on relationships and life. The cards I spread is my own personal discovery of 16 cards spread which will tell the current situation, the immediate future, your past, and your future outlook. Each stage is very specific. For instance, in the current position, it will tell you if you've been in contact with someone within 24 hours, and what kind of atmosphere that contact was. This is a good way to confirm that you and I have made an accurate connection. When I was a child, I would often get very strong senses on my hands or feet about whatever I was about to face; then it would be followed by an idea that pops into my mind so strongly that it forced me to follow it to bring about good to the situation. On one occasion, I was on a jeep that wouldn't start, and I was running late to catch a plane trip across the ocean, my senses told me to touch the handle bar on the jeep then the jeep will run. I felt like there was this energy that was passing from me to the jeep. The jeep did start immediately, and I made my trip. Different things have happened in my life that interrupted me from making a trip which later I learned that if I had made the flight, the plane that crash in the news was my original scheduled plane to be on. I believe that God is always protecting me and also guiding me. Even animals have this awareness; for example, a cat might react strangely in the middle of a sunny afternoon by suddenly searching for a hiding place in the basement. Hours later, a severe, thunder storm will occur. As we become adults, we dismiss these talents. Instead of using our faculties, we devise defenses that deny our initial and basic instincts, and conform our trust to people and situations outside of ourselves. We grow so far away from our own inner voices that we become confused, angry, frustrated, and unhappy. 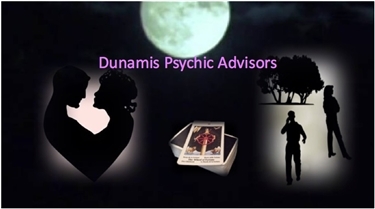 I have years of experience reading tarot cards. Let me give you a gate into the unknown with the tarot cards. I can help clear some confusion caused by mixed motives or mixed messages. I understand that my callers are interested only in what possibilities lie ahead for he/she; and so, I will only say what I can see from the reading. We all need support during different times of our lives; and sometimes we have to open the door to the mystical world. We all have intuitions, but some people don't call that as being psychic. Being psychic is someone who is able to focus on the mystical realm more clearly than the average person. All of us have experienced something in life where we felt or sensed we should do something, but can't understand why we should, then later on we learn that it was a good thing that we did what we did because it prevented major chaos. That's being psychic. Currently, I use the tarot cards to enhance my psychic abilities; and that is what I would like to share with you to help you to open a gate into the unknown to help you with whatever you are currently facing in life. At the start of my business day, I ask GOD YHVH to help me, so that I may know what He wants me to pass on to my customers. RU2 ***** She has a knack for timing...... Ask a specific question get a specfic time. Can really get into the heart of the questions. CALL HER. Sultana96 ***** Truly gifted. Back in 2002 I had been unemployed for 6 months. She told me I'd hear about a job that Monday. It was my first call to her so I was doubtful because I hadn't heard anything about any jobs in 6 months. Sure enough, that Monday I saw a job listing online, applied and got that job. Fast forward to March of this year . Once again unemployed, this time for nearly 2 years, she said I'd be working in April but found it odd that she didn't see an interview. A previous interviewer had kept my resume and offered me a temp position. Her accuracy & timing cannot be beat. Can NOT. "When" is so important--thank you for always getting it right! Blessings! I will tell you what I see in the cards. Sometimes it is not what you want to hear, but I can only tell you what I see. Some people have asked me for details about a future lover that is not even in that inquirer's life yet; most of the time I cannot see that. Only GOD YHVH knows that. Yes sometimes I am given a glimpse into that future, but it is not often that I can see specifics about a person that is not even in the inquirer's life yet. I am a strong believer in what God YHVH has recorded in the bible that says He gives us the power to see what He wants us to see about unknown and future events. I believe I have this power; and want to help you in guiding you as you make choices about things in your life as you walk in the journey of life. "2 Thus saith the LORD the Maker thereof, the LORD that formed it to establish it, the LORD is His name: 3 Call unto Me, and I will answer thee, and will tell thee great things, and hidden, which thou knowest not." (Jer 33:2-3 Hebrew Bible) interested only in what possibilities lie ahead for he/she; and so, I will only say what I can see from the reading. We all need support during different times of our lives; and sometimes we have to open the door to the mystical world. We all have intuitions, but some people don't call that as being psychic. Being psychic is someone who is able to focus on the mystical realm more clearly than the average person. All of us have experienced something in life where we felt or sensed we should do something, but can't understand why we should, then later on we learn that it was a good thing that we did what we did because it prevented major chaos. That's being psychic. Currently, I use the tarot cards to enhance my psychic abilities; and that is what I would like to share with you to help you to open a gate into the unknown to help you with whatever you are currently facing in life. At the start of my business day, I ask GOD YHVH to help me, so, that I may know what He wants me to pass on to my customers. Chrissie2902 ***** This lady is incredible. She is TRULY GIFTED AND GENUINE. It is so hard to describe in a few short words this amazing lady. You really must call for yourself and see, she is outstanding. She is kind, honest and caring. It was my first call but trust me, once you have called the Queen of Wands you will have no desire to call anyone else. I shall certainly call again soon. She has given me information for the next few months ahead, but I will call her regularly for advice in those months. Please try this lovely lady. You wont regret it. Thank you. mrsanchez ***** Very kind, very helpful and very GOOD READING!!! You will feel good and your self esteem will be lifted. Thanks QOWands/ Blessed Be. Rockstar73 ***** This reader is amazing. I am one of those people that when the going gets tough, I call a reader on keen. I have a select few that I call. Each serve a different purpose and give certain amount of details. All are accurate to some respect. But QOW, she was one of the select few which told me that my ex would be calling end of April beginning of May. She was one of the only readers that saw that in the summer months he would try to come back after not communicating since Feb. He called out of the blue today. QOW, thank you so much for your help!!! Sultana96 ***** Truly gifted. Back in 2002 I had been unemployed for 6 months. She told me I'd hear about a job that Monday. It was my first call to her so I was doubtful because I hadn't heard anything about any jobs in 6 months. Sure enough, that Monday I saw a job listing online, applied and got that job. Fast forward to March of this year. Once again unemployed, this time for nearly 2 years, she said I'd be working in April but found it odd that she didn't see an interview. A previous interviewer had kept my resume and offered me a temp position. Her accuracy & timing cannot be beat. Can NOT. "When" is so important--thank you for always getting it right! Blessings! Queen of Wands has been a user of Keen since 2001. 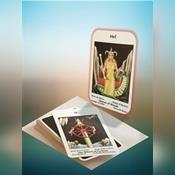 Getting Tarot Readers advice from Queen of Wands through www.keen.com is safe, secure and confidential.